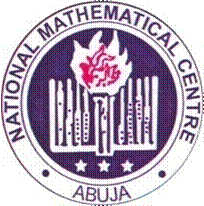 National Mathematical Center, [NMC] Nigerian Mathematics & Sciences Ebonyi State Mathematics and Sciences Olympiad First [1st] Round [I] Junior & Senior Results for 2018/2019 Session - Download Ebonyi State Olympiad Results in PDF. The National Mathematical Center has published the full results of the Ebonyi State Nigerian Mathematics & Sciences Olympiad 1st Round Results for the 2018/2019 academic session. The results are for Ebonyi State candidates who participated in the Junior Mathematics competition. Ebonyi physics, chemistry and biology olympiads are not uploaded...why? Keep checking.... Uploading are still in progress!! !